The spinner is a six tub ride that can hold 24 to 36 individuals at a time. 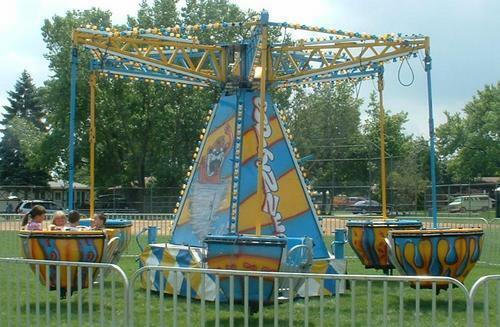 Participants can spin their tubs while the spinner swings them around and around. Includes the required power and staff to operate the equipment.